The kayaking racing season has come to an end, so Freddie was kind enough to provide a summary of his 2016 racing season. On the 6th, I completed Waterside A – this is a winter series race which is very popular since it is a good pre-season performance indicator; I was the quickest U15 and 8th overall in juniors. Another winter series race (Thameside 1) took place on the 26th where I came 2nd in overall juniors, and again first in U15’s. These both placed me in good stead for the fast approaching racing season. 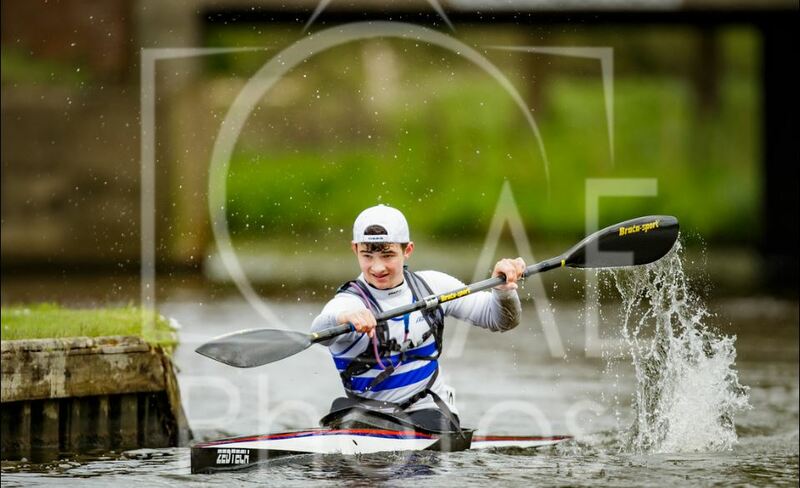 Fast forward to the 9th & 10th of April, the first national sprint regatta of the year took place; there I came 5th in the B final of the fastest U18s class (Boys A), I was very pleased with this result. Over the 1000m I took a 5th in the B final of the Boys B racing class. As previously mentioned in my athlete statement, I competed at the Wey regional Hasler, coming 3rd in division 3 (division classes go from D1-fastest to D9-slowest). On the 7th & 8th a trip up to Nottingham took me to the 2nd National Regatta of the year. My K2 partner and I came 2nd in the 500m K2. Apart from that, the regatta didn’t go too well for me. However, I recognised what I did wrong and implemented change to my training so I would not repeat it. The racing season began to come into full swing in June. I attended the 3rd national regatta of the year, with a change of K2 partner (having to race up in Boys A), we took a 3rd – beating a national squad pair; a 4th and a 1st making us the fastest junior K2 at the regatta over 200m. K1-wise, I took a 9th in the Boys A/B 200m. Later in June, I attended the Oxford regional Hasler where I took a promotion to Division 2 and a win by over a minute on a 12 mile marathon course. rint Championships. Since there are no national rankings, this event is used to rank everyone in each distance. 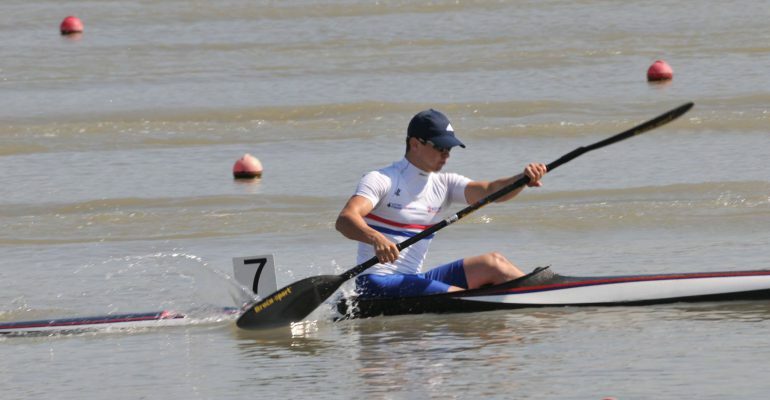 The races did not stop there – the national marathon championships took place on the 25th and 26th at my home club – Reading Canoe Club. 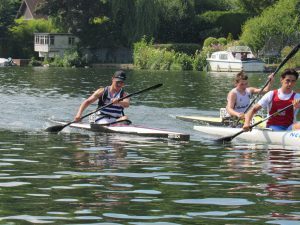 I was one of the 78 volunteers helping to run the event between my races at which I came 2nd in the U16 K1 (1st U15) and 2nd in the U16 K2 (1st U15) providing me with a total 7 national U15s 1st’s . I finished off the best racing month of my life with another win at the south lakes marathon in Division 2. I was incredibly happy with these results, but could not take it easy yet – summer was back to head down, training for the OH regatta. No racing took place in August, there was a training camp in Nottingham for the Olympic Hopes Regatta. But apart from that, it was just watching GB’s incredible wins at Rio and hard grind training in preparation for the OH regatta. The OH regatta had come round quickly, and after a flight and a practice day at the course, it was time to race. 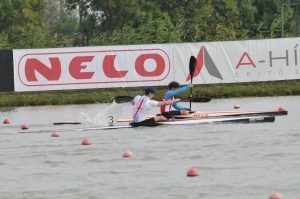 My 200m K1 was a great experience- I saw how I was ranked against the rest of the world, and how fast they were. I achieved 18th in the world. I couldn’t complain- I had done all I could, but I was hoping for better – top 5. The 200m K4 was in the U17 class where we were 2 places away from qualifying for the final. We ended up coming 11th overall. Lastly, on the Sunday I competed in the 500m K1. I was 2 places away from the final and overall my time placed me 23rd although my place wasn’t the best, I smashed my PB by over 5 seconds! Although I wanted to do better at the regatta, I learned massively which I will use to develop my training and I will make me even more motivated to come back next year and complete my target. Although the season has finished, I have just been selected to be in the Super Regional Squad and also selected to be in the National Marathon Training Squad. Both of these squads will help me train hard through the winter for a – what I hope will be – a very successful summer. A massive thank you to you at GLL for funding me this past year, you were a big factor in helping me achieve this year. The money has gone towards new equipment and the gym membership is incredibly useful and well used too! I’m using it up to 6 times a week in my training… And am currently in the process of requesting some information from the GLL physios.